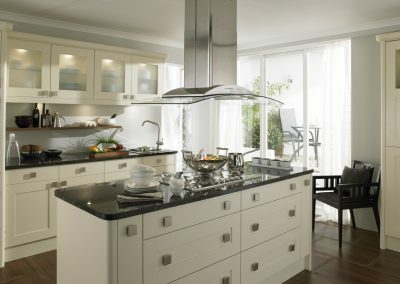 Gallery Kitchen Design, Halifax, Leeds, Harrogate, Wetherby, Cheshire & London. Fully fitted kitchen installation service. 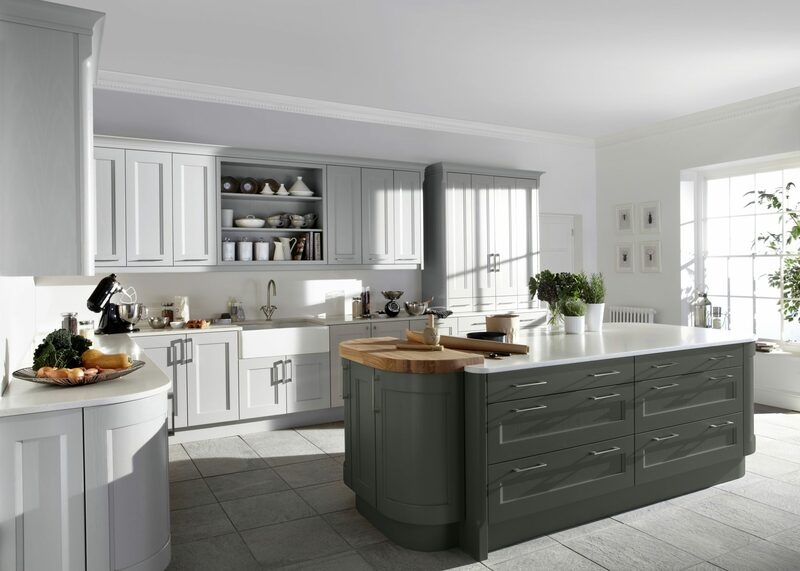 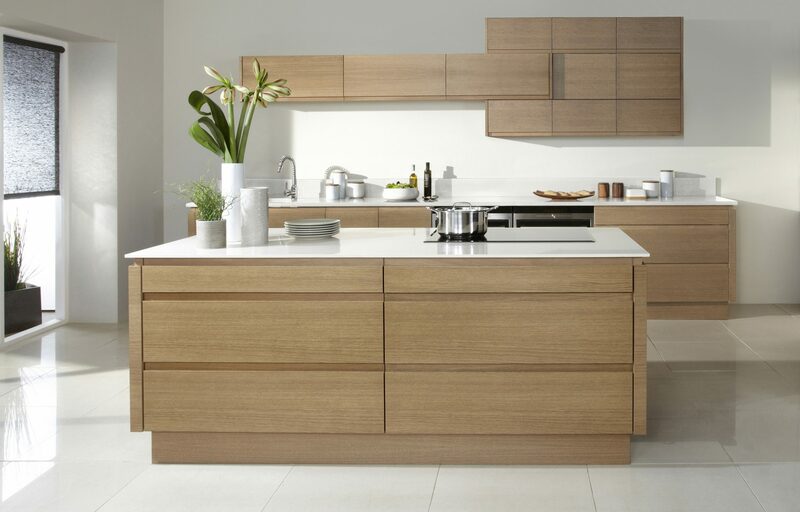 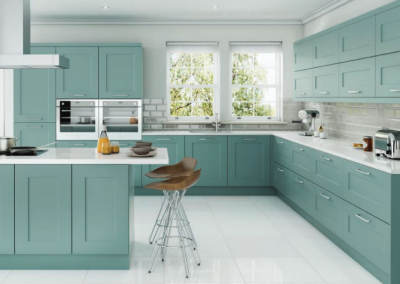 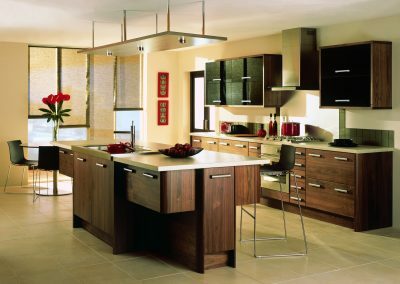 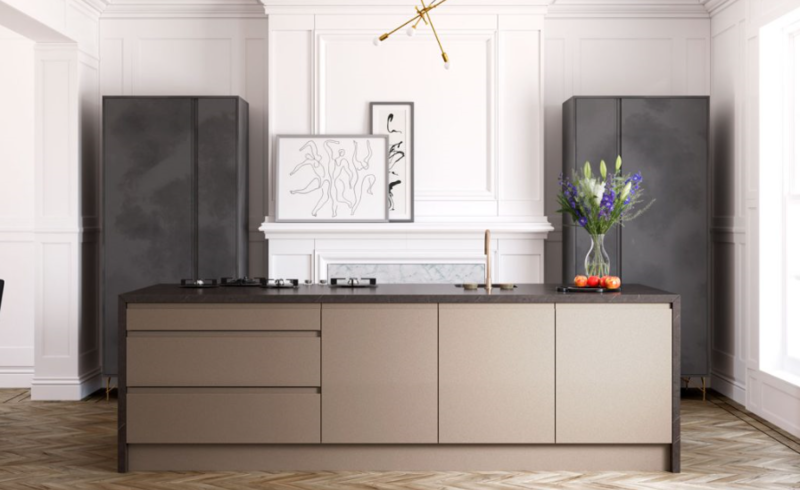 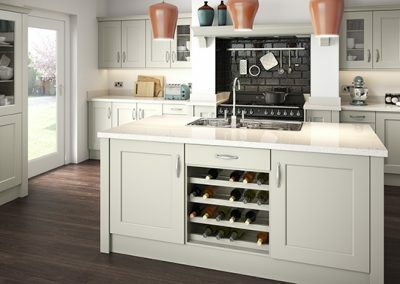 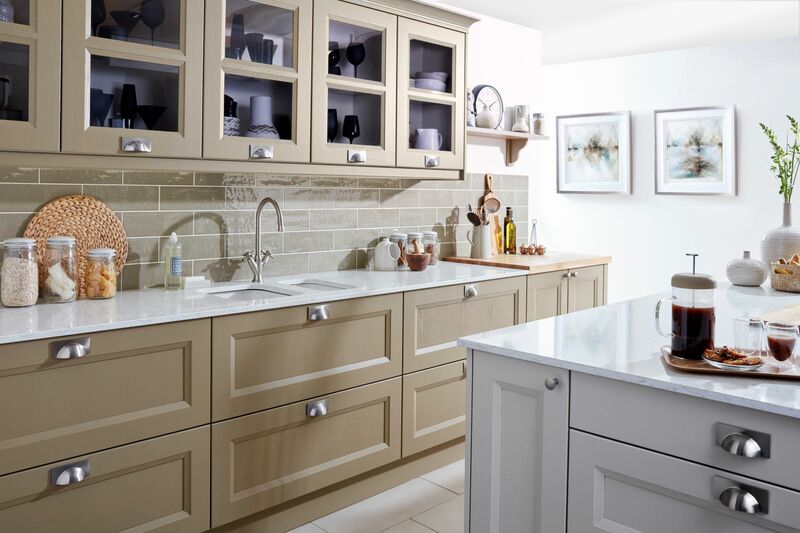 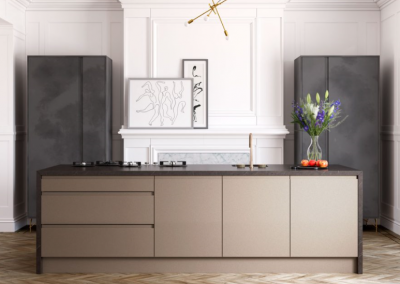 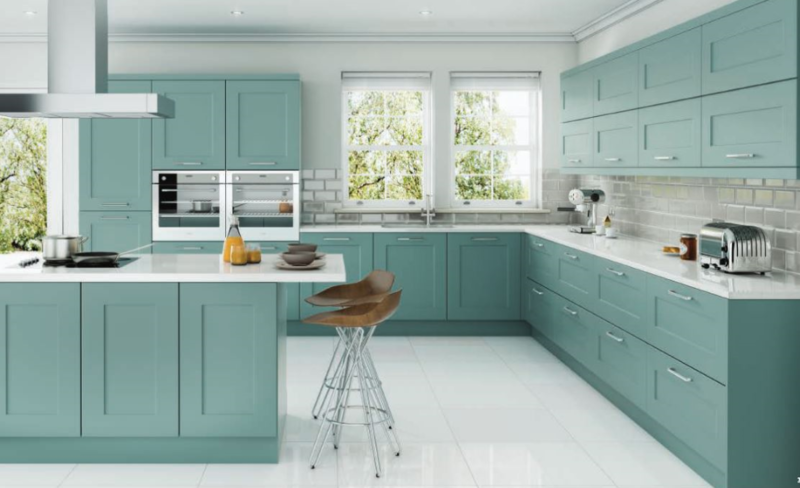 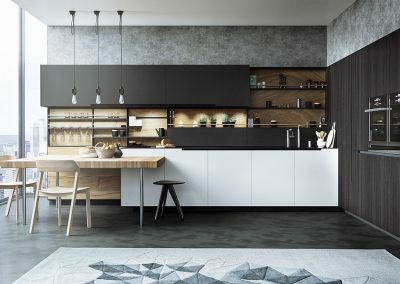 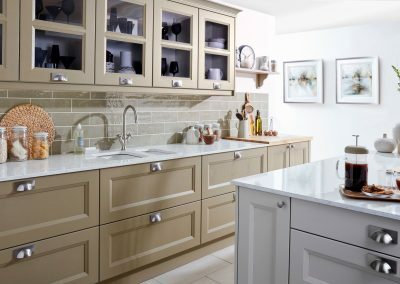 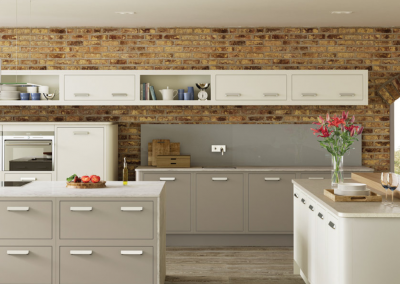 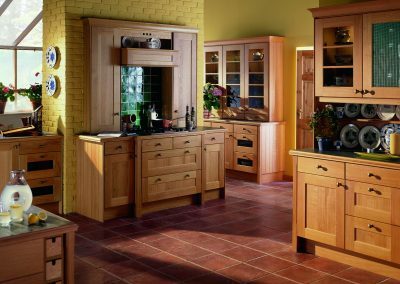 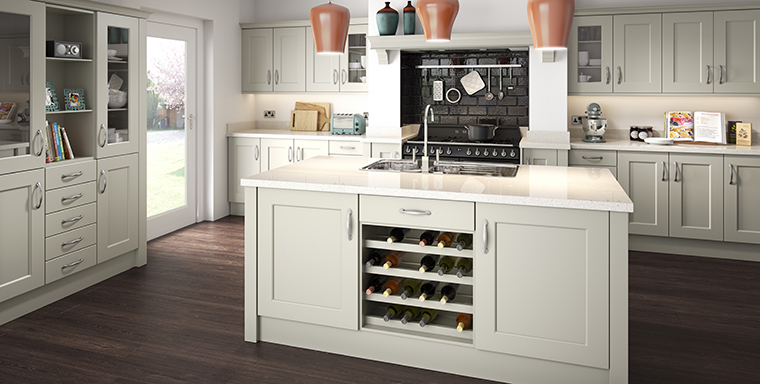 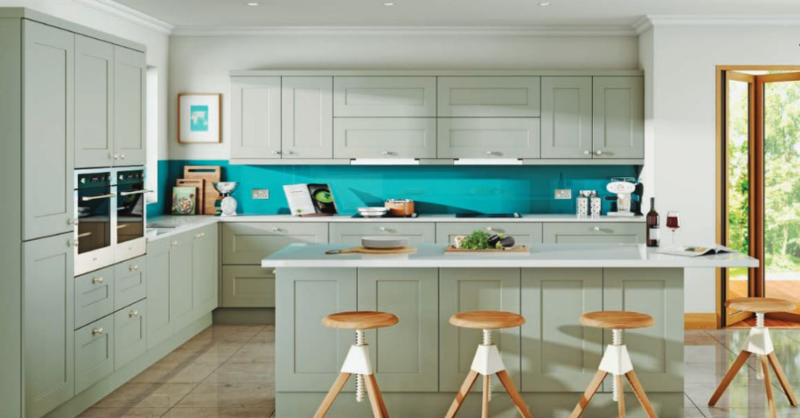 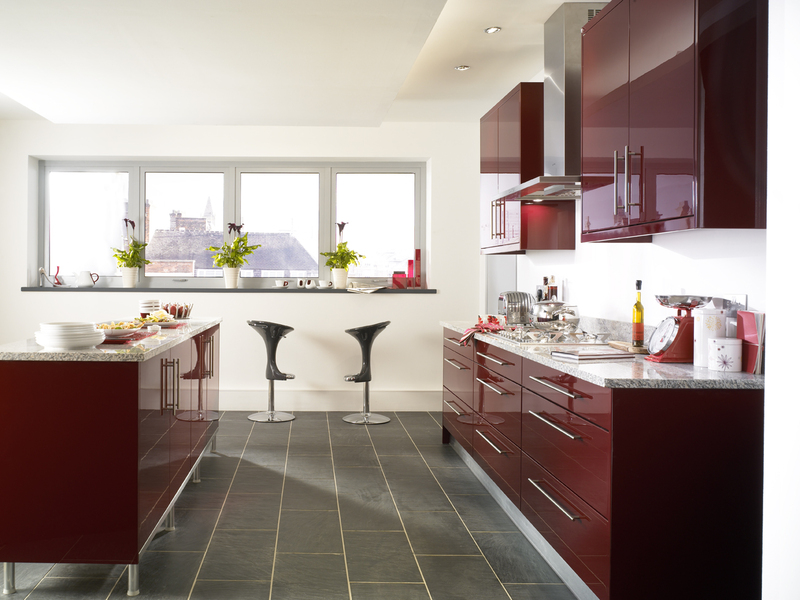 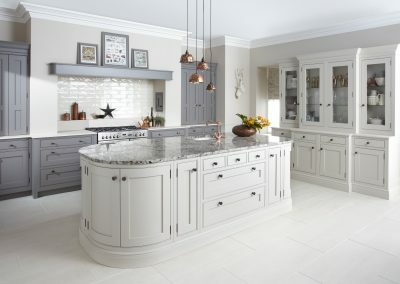 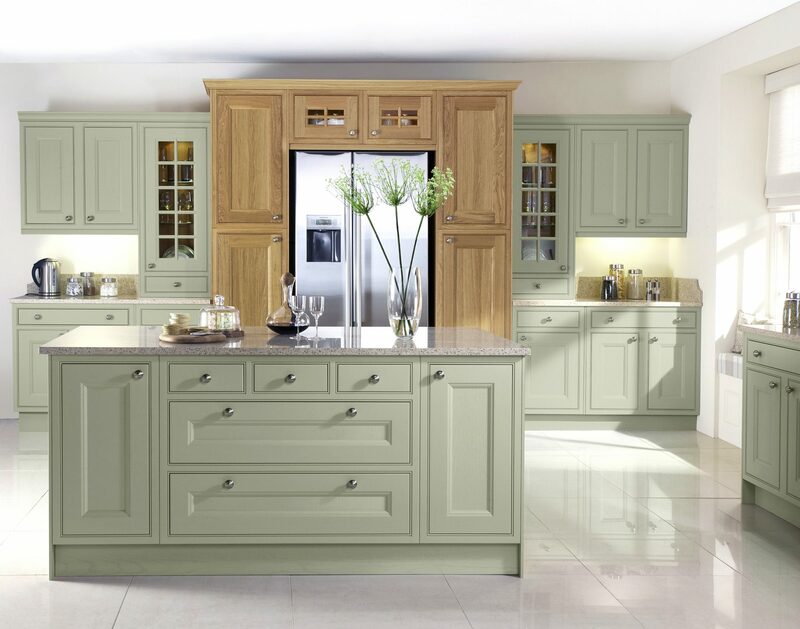 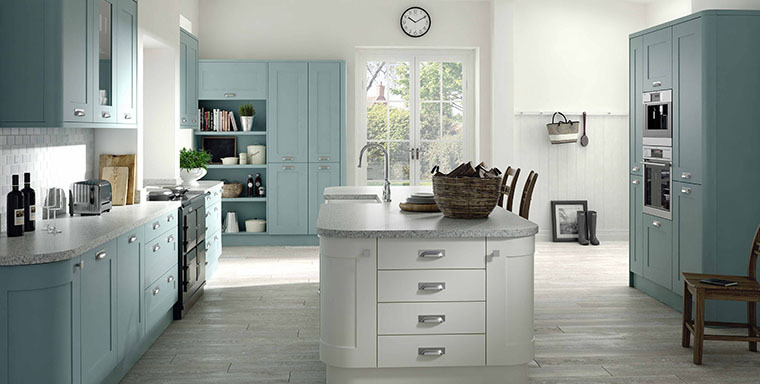 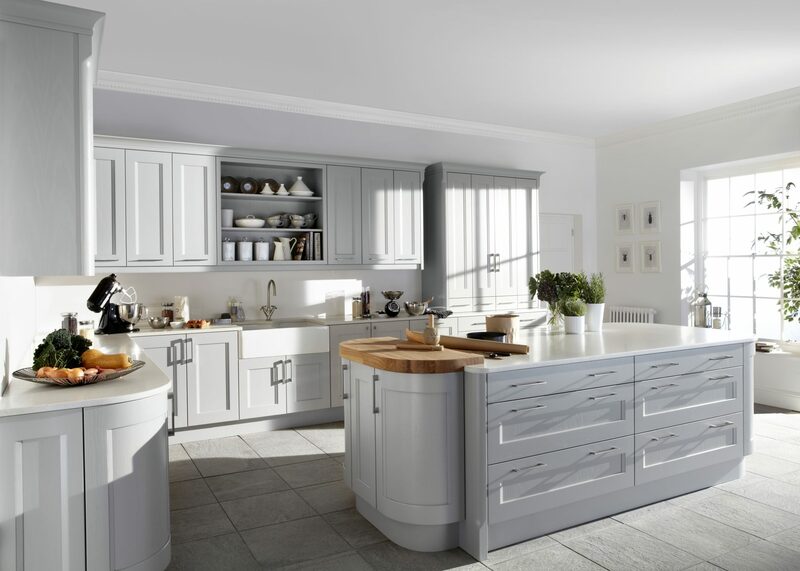 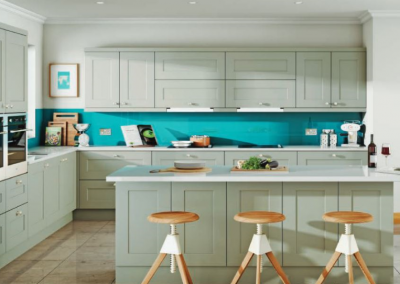 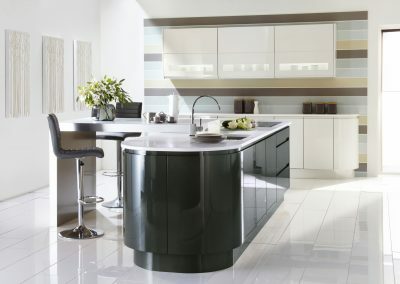 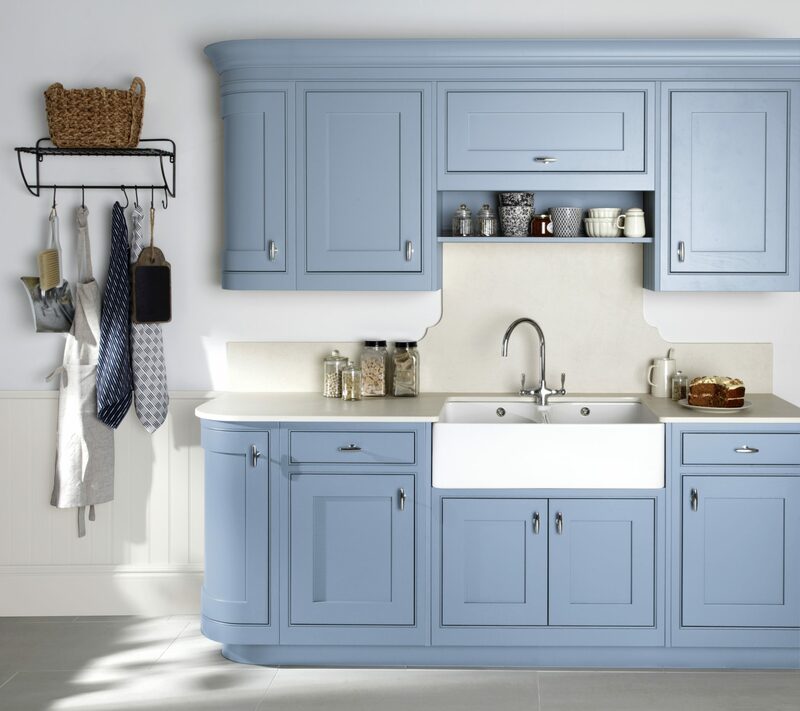 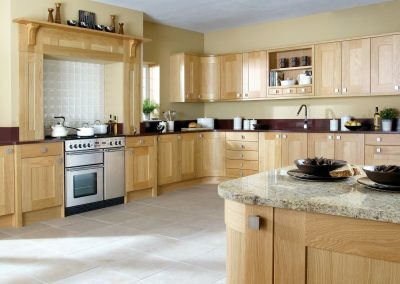 This specialist collection of mid ranged fitted kitchens brings together choices of both traditional and modern styles. 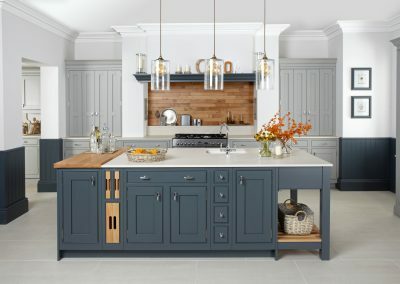 You can either tone down the kitchen design to match your budget or expand your design and kitchen installation expectations. 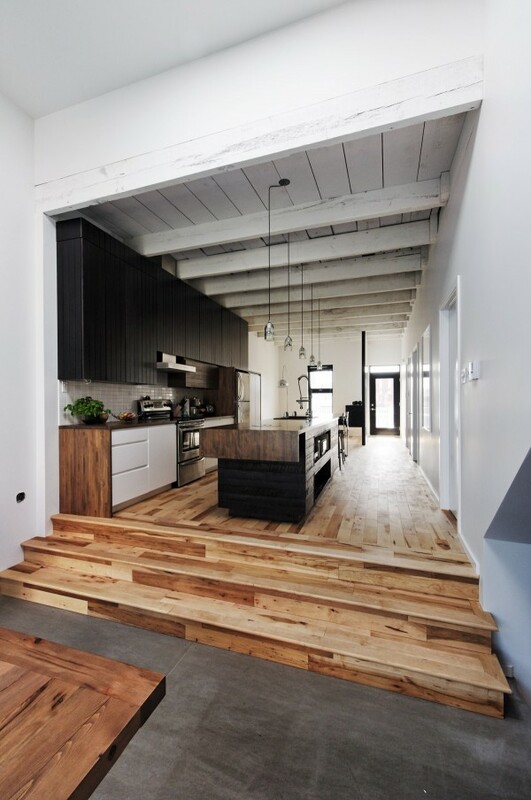 This will turn your design into a real discussion point in your home. 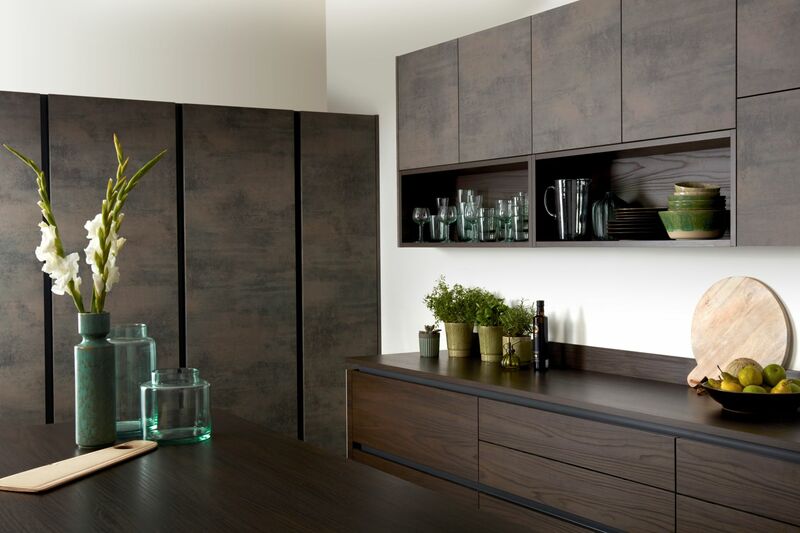 A choice of high-quality wood, painted, vinyl, and lacquered door finishes feature in this collection. 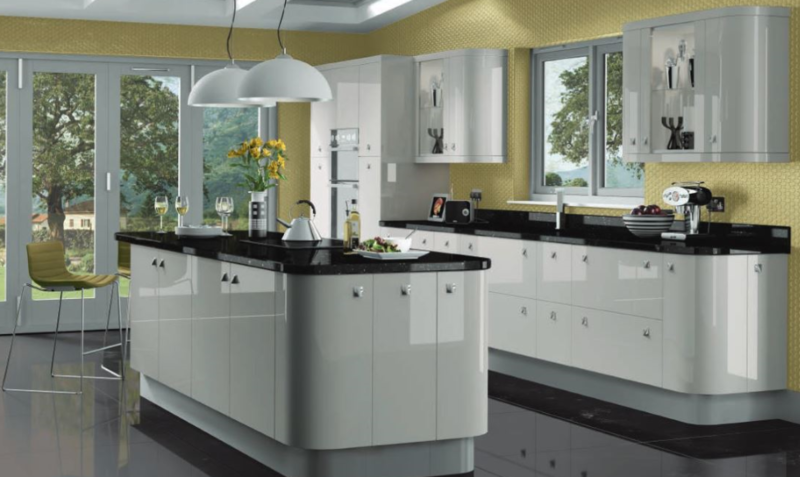 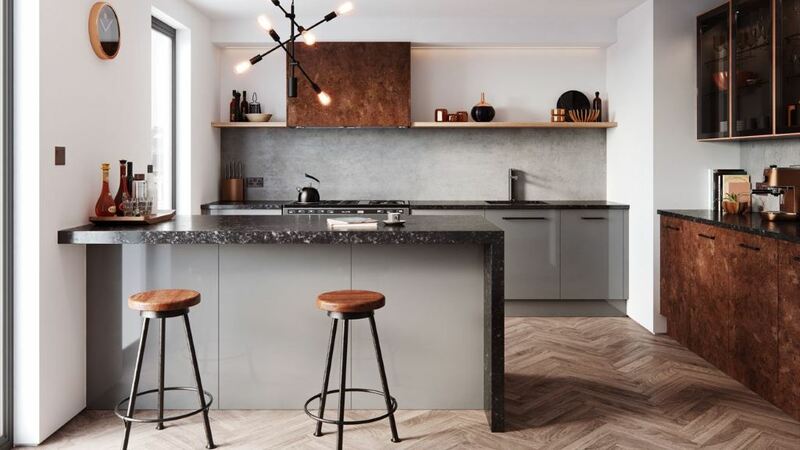 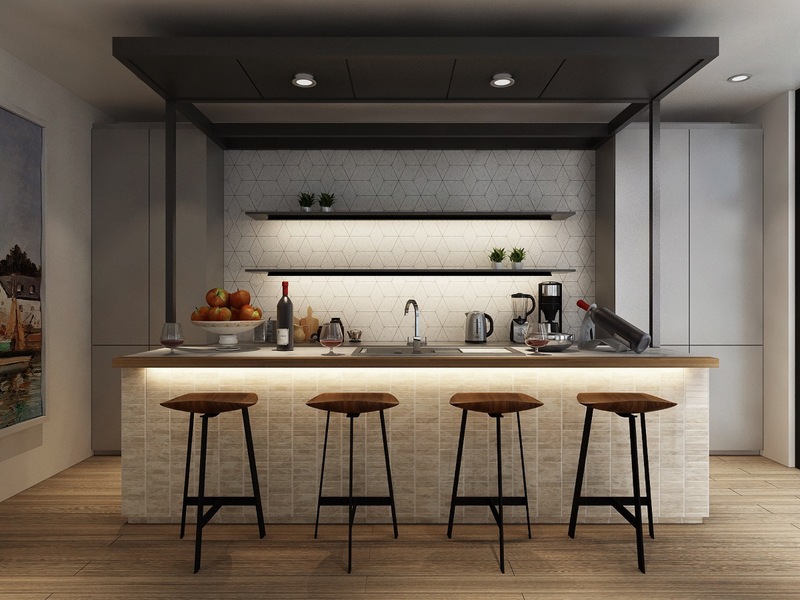 Worktops and appliances of choice can be added into the design. 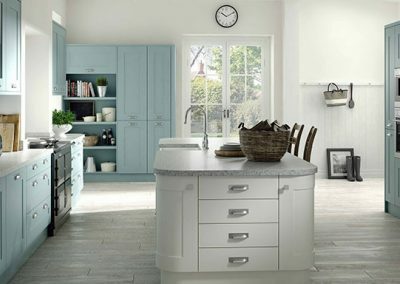 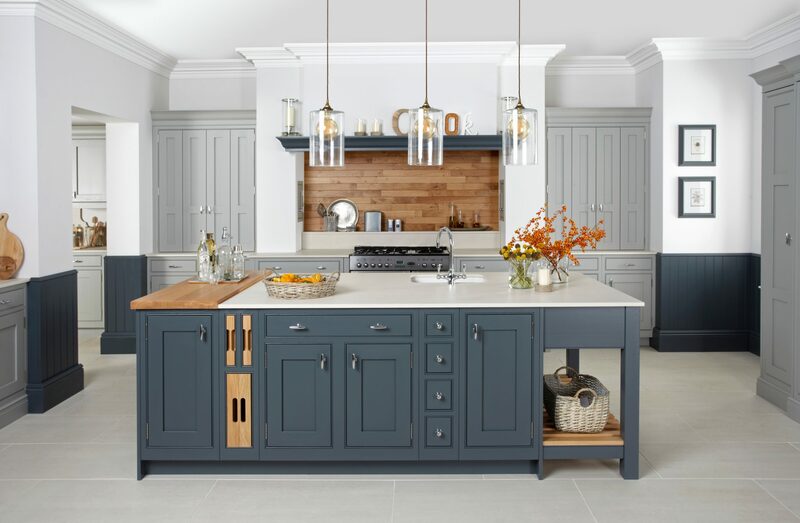 Halifax Kitchen design at its best from and serving our local,& nationwide customers with a complete kitchen supplier and kitchen installer solution. Where requested, we are also happy to supply only some of our kitchen ranges. 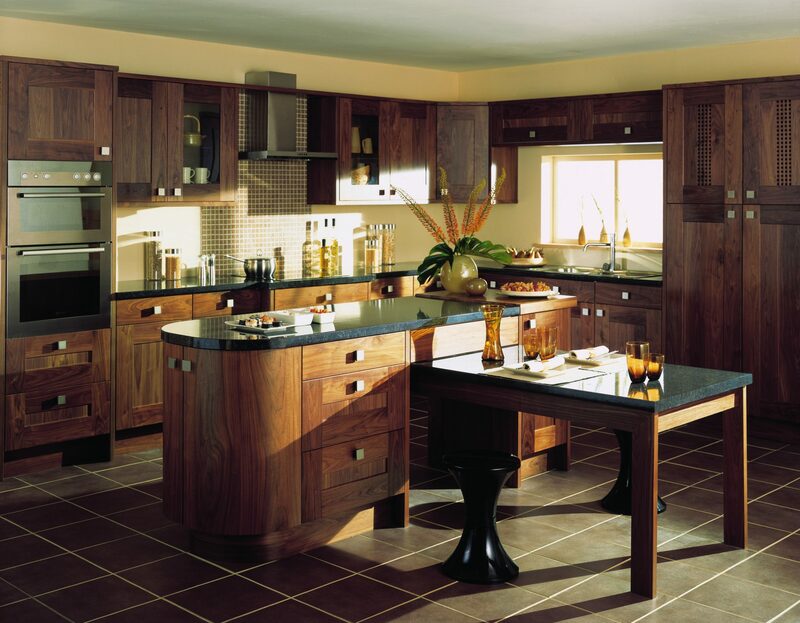 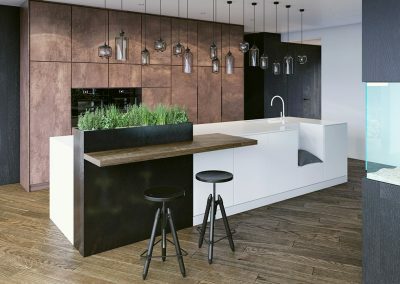 Handless Dark Walnut Rust Kitchen. 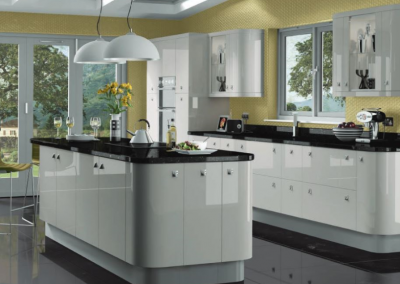 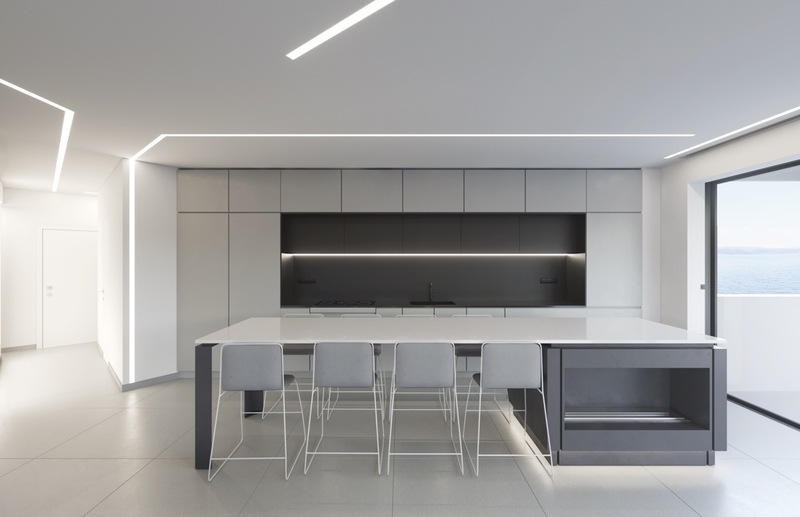 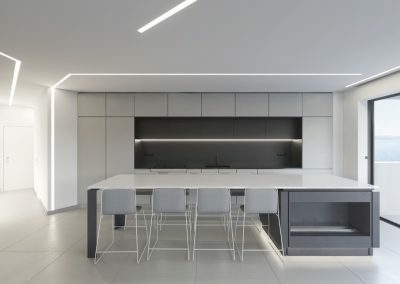 Kitchen In Gloss or Matt White With Macassar Ebony Decor & Corian Worktops. 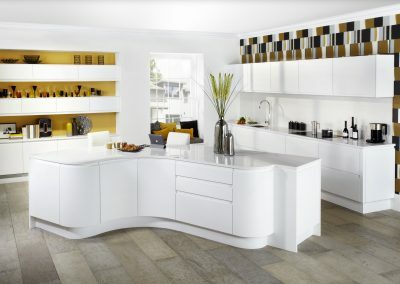 Matt Fiord Painted Or Vinyl Wrapped Kitchen With Curved Island Kitchen & White Feature Storage. 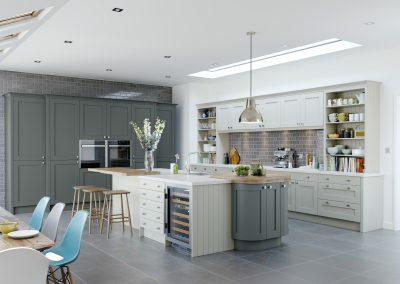 Painted Soft B Grey Timber Kitchen With Seal Grey Island. 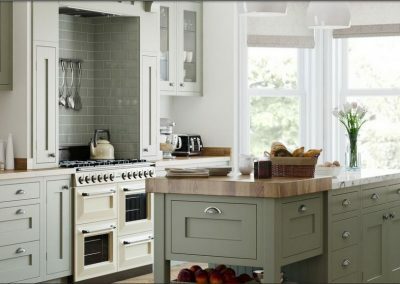 Trim Centre Panel Painted Timber Mink Island & Powder Oven Run. 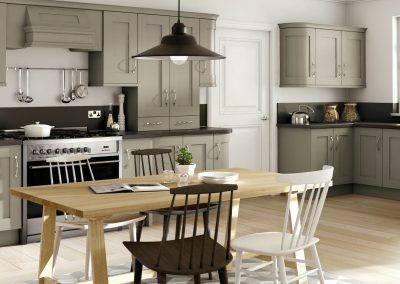 Painted Soft B Grey Timber Kitchen. 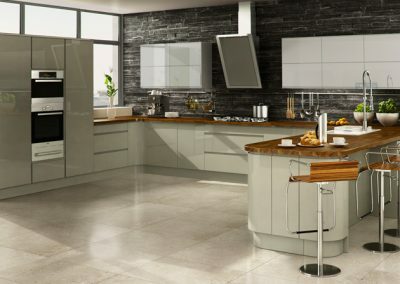 Grey Gloss Vinyl Wrapped Kitchen With Compound Worktops & Finished With Timber. 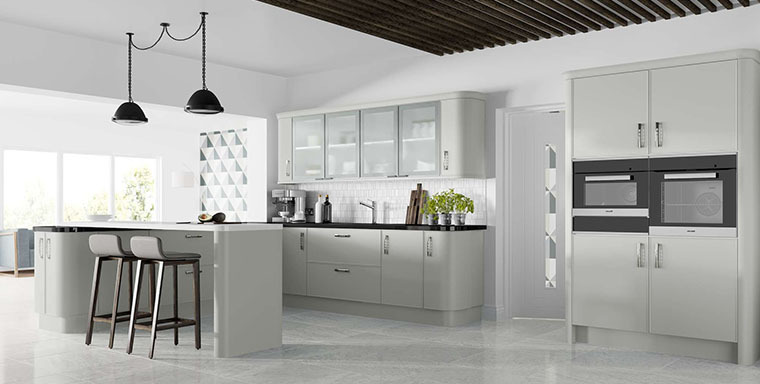 Painted Or Vinyl Dove Grey Or Cashmere Kitchen. 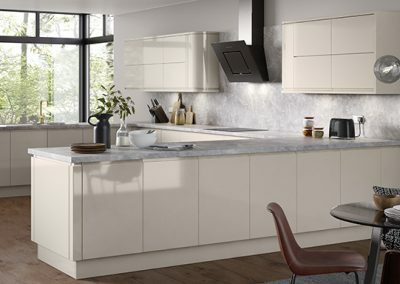 Curved Gloss Vinyl Cream Kitchen. 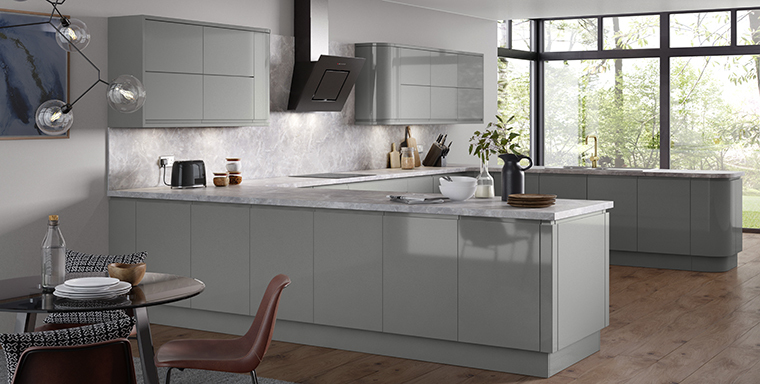 Oxy Matt And Gloss Grey Kitchen. 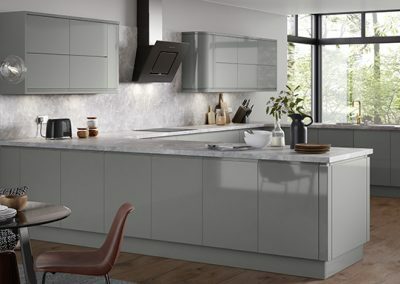 Matt Two Tone Kitchen In Steel And Sage. 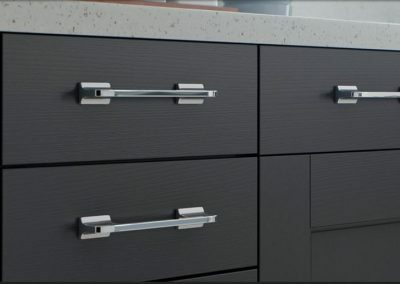 Inverted Handle Gloss Willow Kitchen. 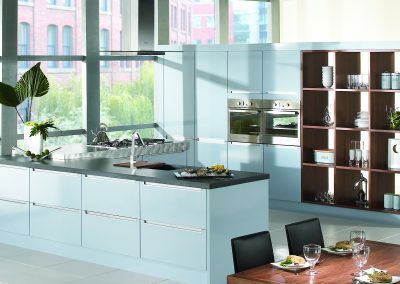 Musk Gloss Kitchen With Inverted Handle. 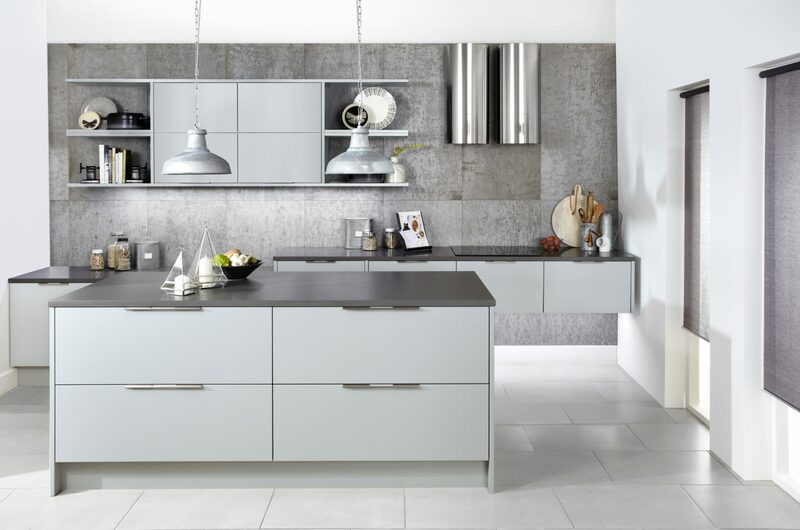 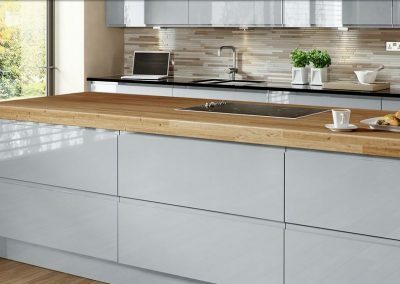 Grey Gloss Kitchen With Timber Worktop & Inverted Handle Or Handle Free Option. 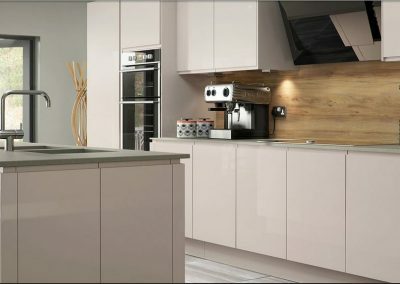 Inverted Handle Painted & Lacquered Kitchen In Metallic Pink Champage & Tall Grey Accent Cabinetry. 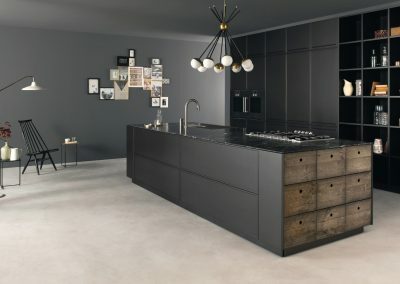 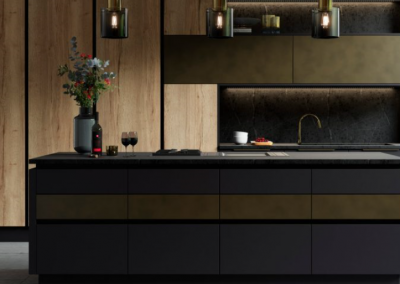 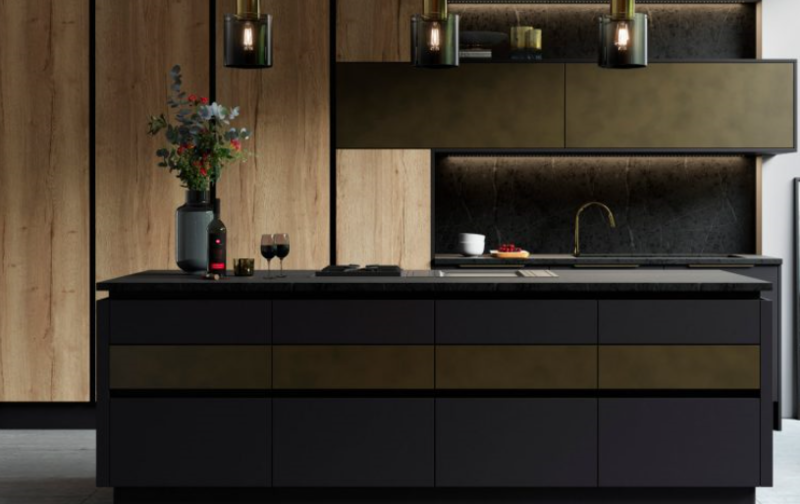 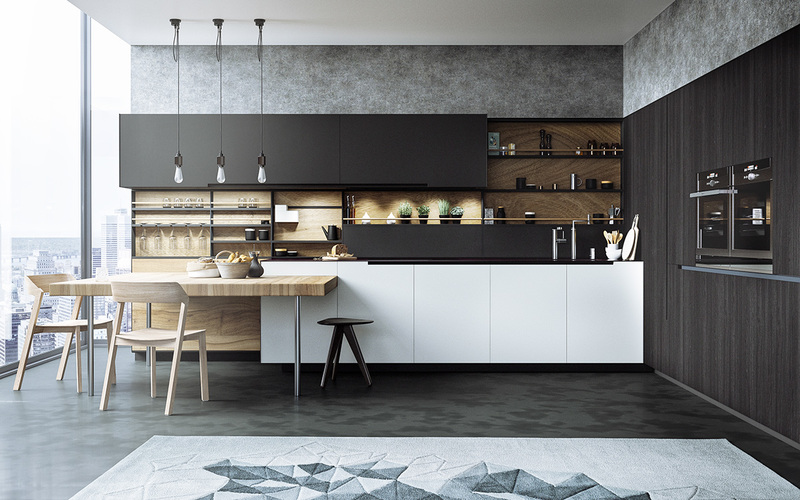 Modular Kitchen With Glass Cabinet & Wood Panel Storage , Nero Picasso Marble Liquid Metal Antique Worktop or with Steel Finish. Laquered Kitchen In Demara Gloss On The left Midi Cabinets & Wall Units Run, With Matt Coffee Grain Finish On Base & Island Cabinets. 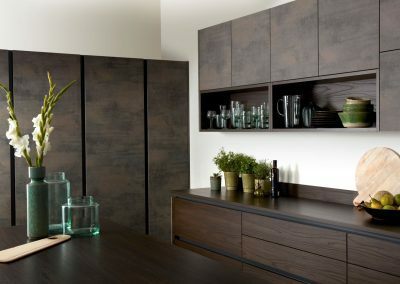 Kitchen In Accented Matt Walnut Timber Drawer Island, Aluminium Shelf and Black Side Storage. 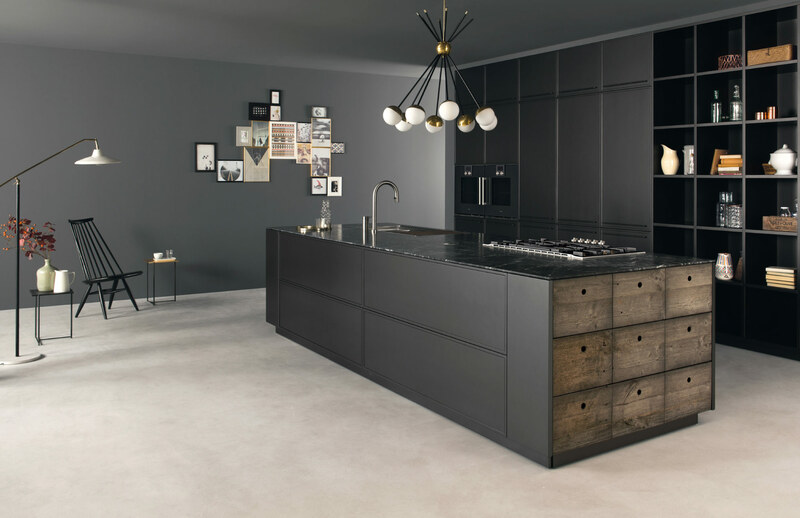 Italian Black Kitchen Island With Fired Industrial Pull Out Drawers And Feature Storage. 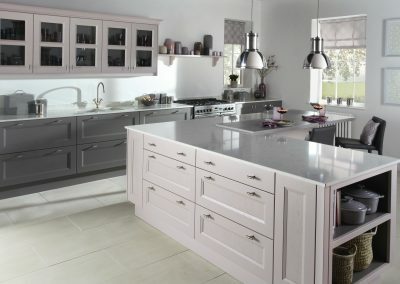 Painted Lakes Slate Kitchen Side Run Close Up Shot. 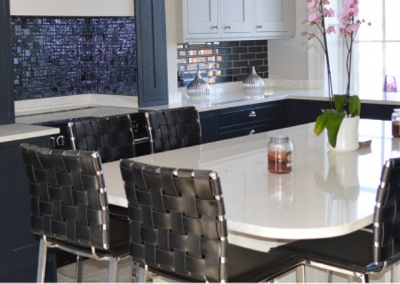 Contemporary Corian Table Design & Chequred Style Chairs. 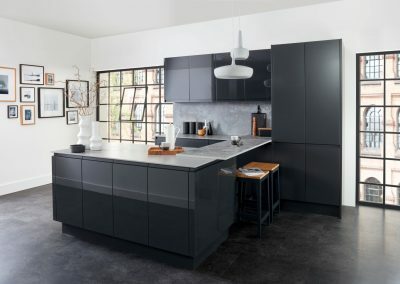 Gloss & Matt Anthracite Kitchen. 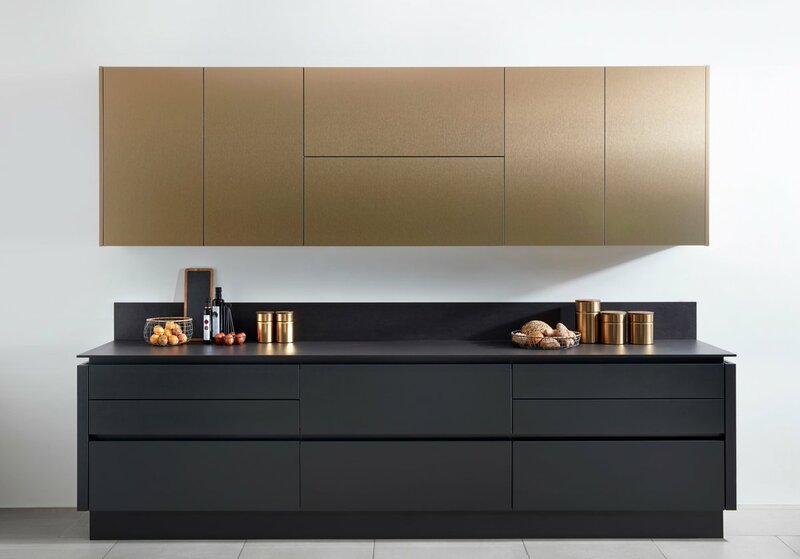 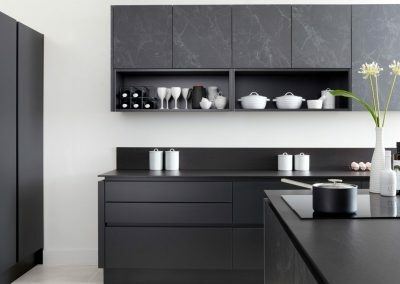 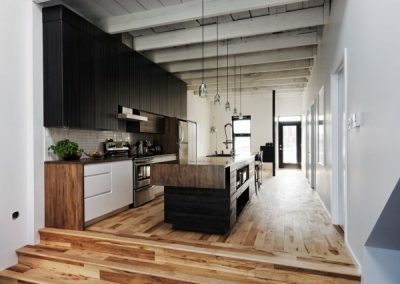 Black Painted Engineered Board kitchen. 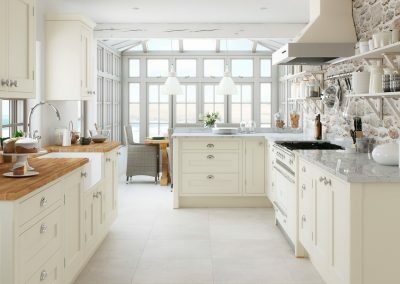 Painted Ash Timber White Shaker Kitchen. 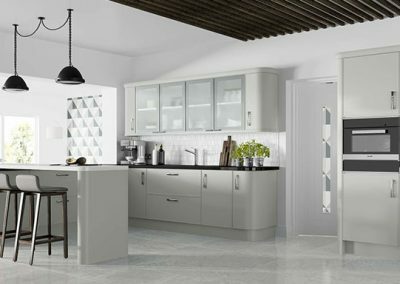 Inframed Kitchen In Choice Of Light Grey, Mineral, Luna, Grey, Steel or Slate Grey With Timber Larder & Secret Drawer Feature. 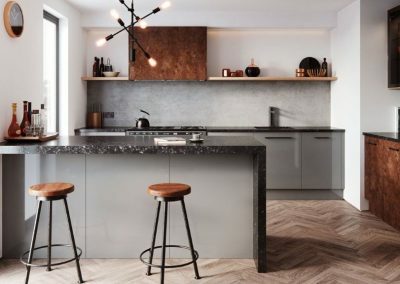 Burgundy Kitchen With Slate Grey Flooring In Tile, Natural Stone, Amtico Or Laminate. 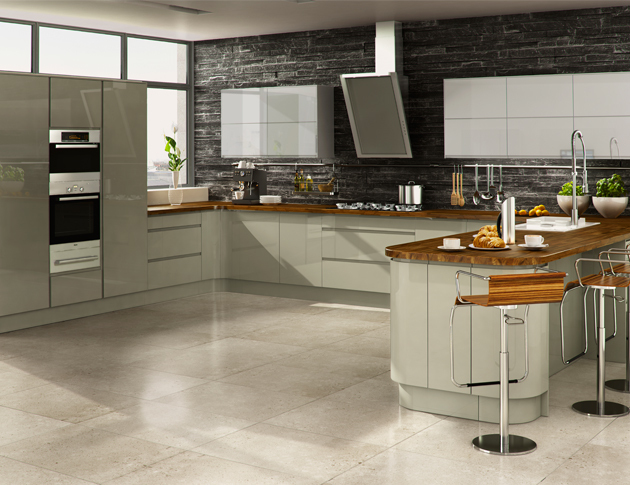 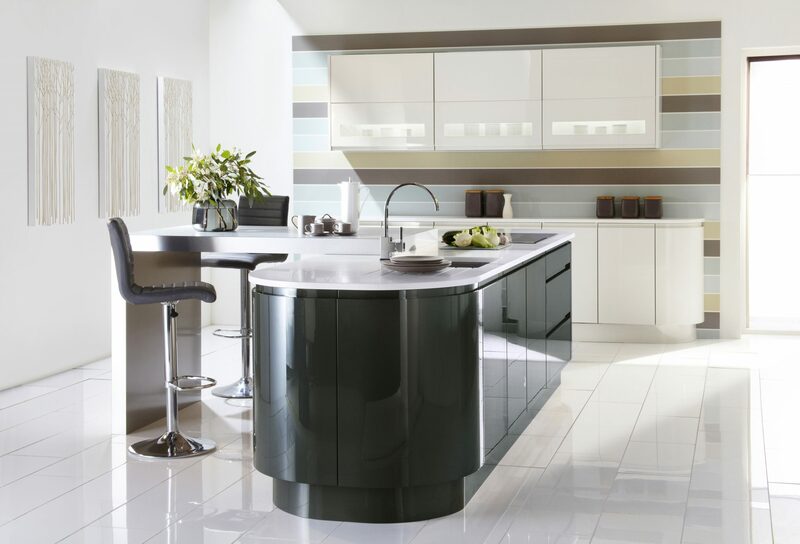 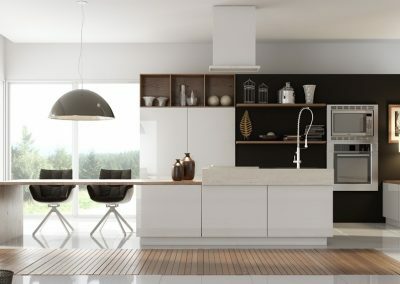 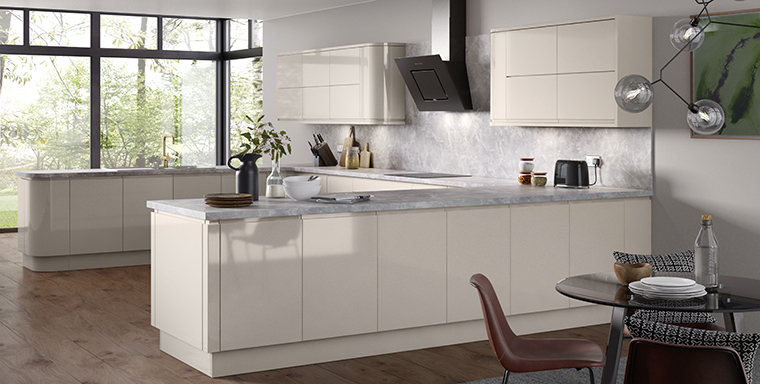 Gloss Island kitchen With Subtle Curves In White, Cream Or Kashmir. 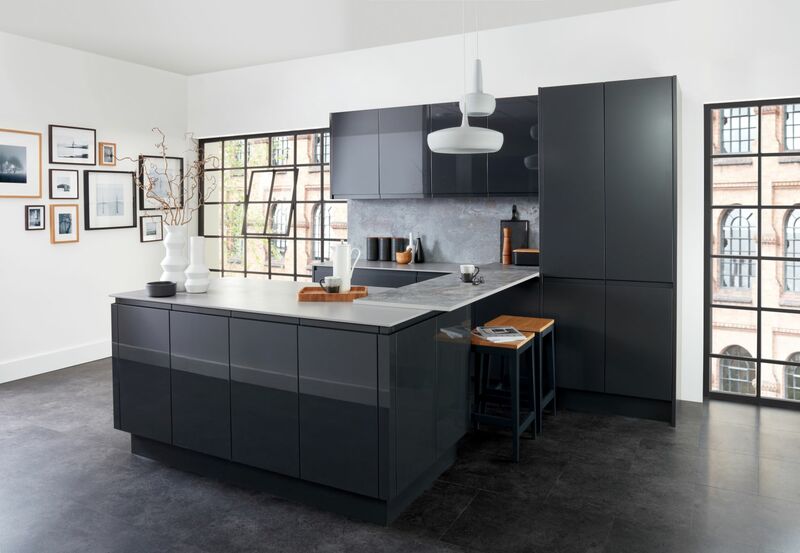 Gloss Anthracite & Ice Kitchen. 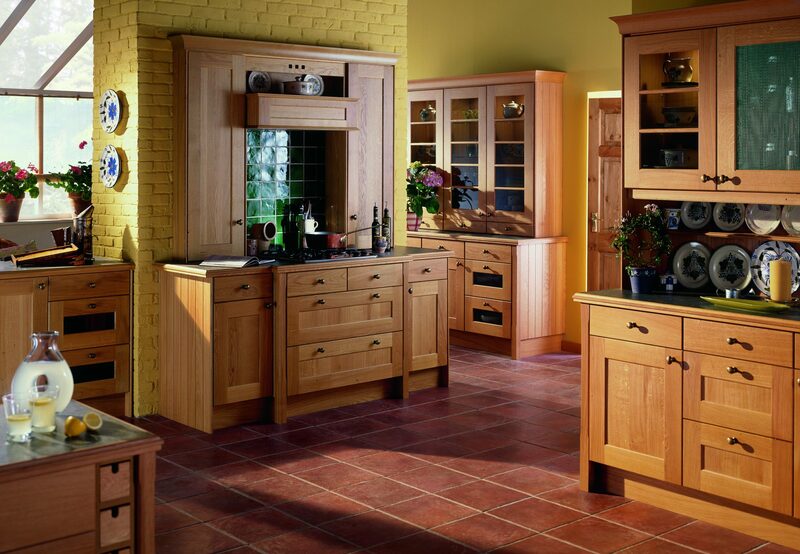 Natural Swedish Veneered Oak Kitchen. 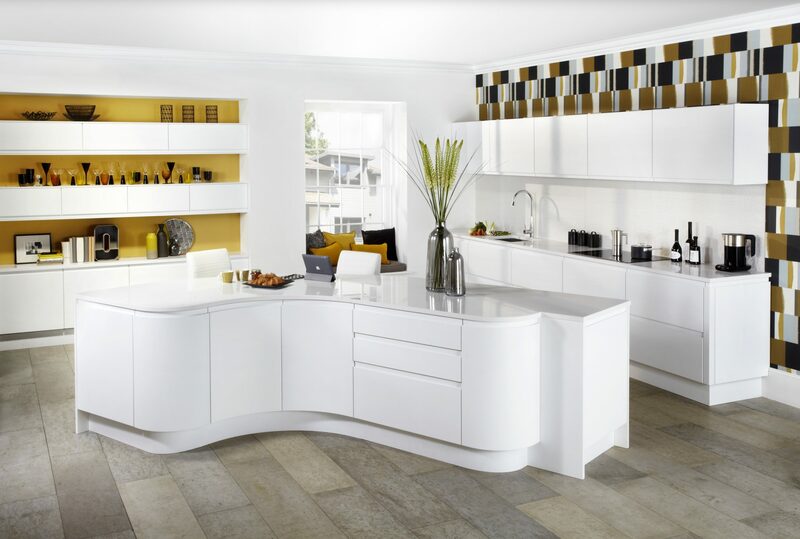 Curved Matt White Kitchen With Multi Storage. 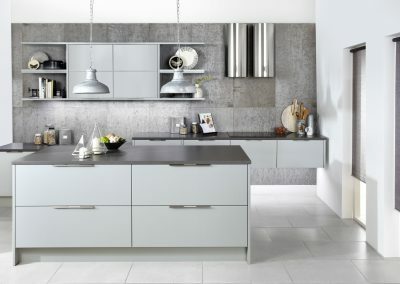 Matt Light Grey Kitchen With Aluminium Brushed Handle. 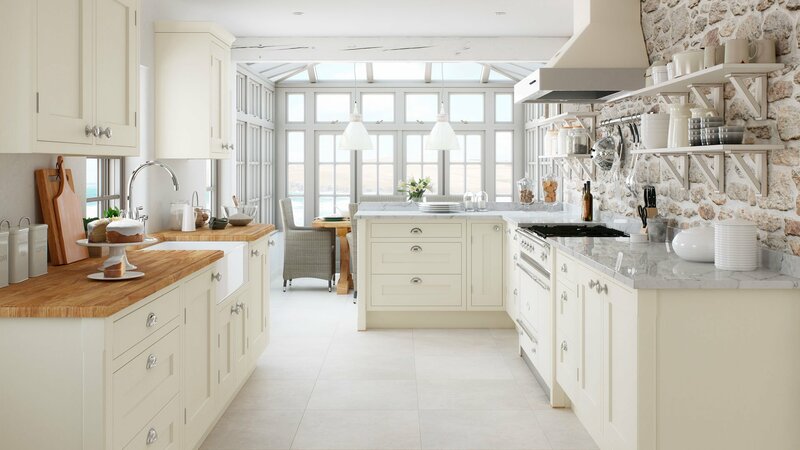 Painted Cream & Seal Grey Shaker Kitchen. 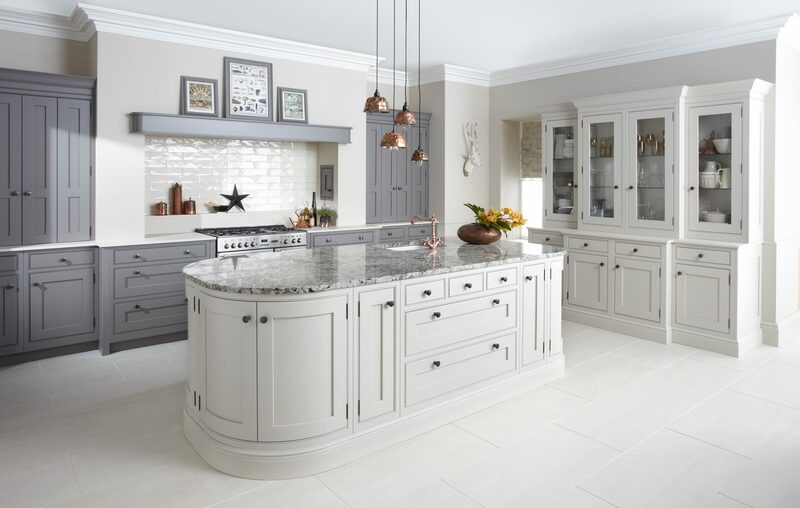 Painted Seal And Light Grey Shaker Kitchen With Curved Finishes. 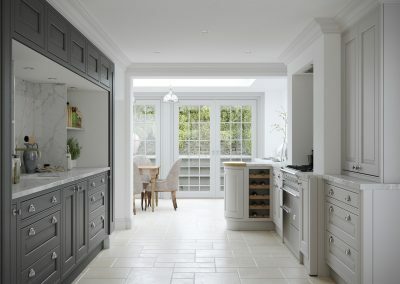 Natural Light Oak Shaker Kitchen. 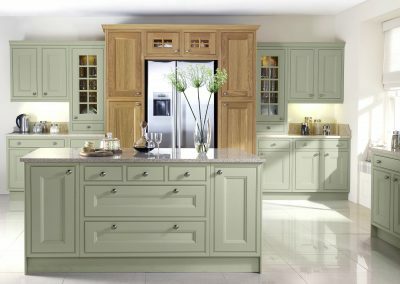 Painted Inframe Willow Mint Kitchen With Light Oak Feature Cabinetry. 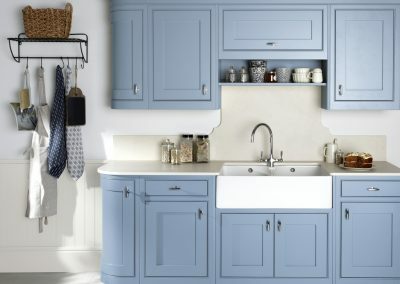 Painted Inframe Light Blue Kitchen. 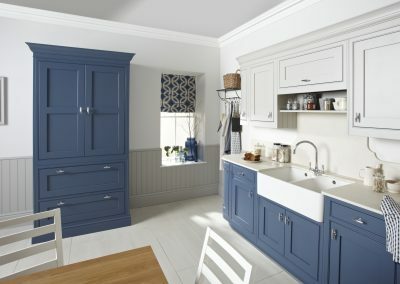 Painted Inframe Navy Blue Kitchen. 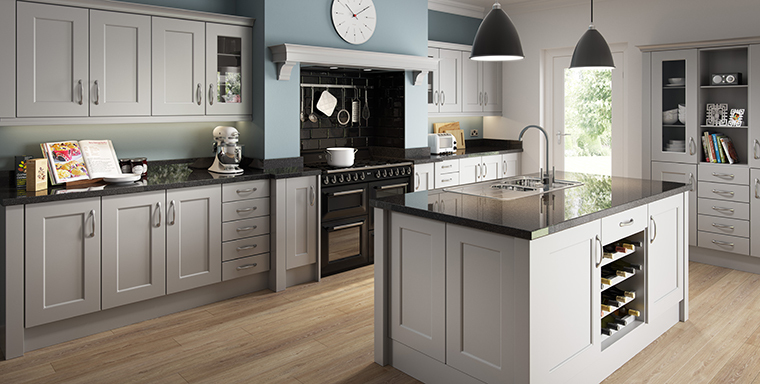 Painted Inframe Mink & Putty Kitchen With Black Copper Effect Knob Handles. 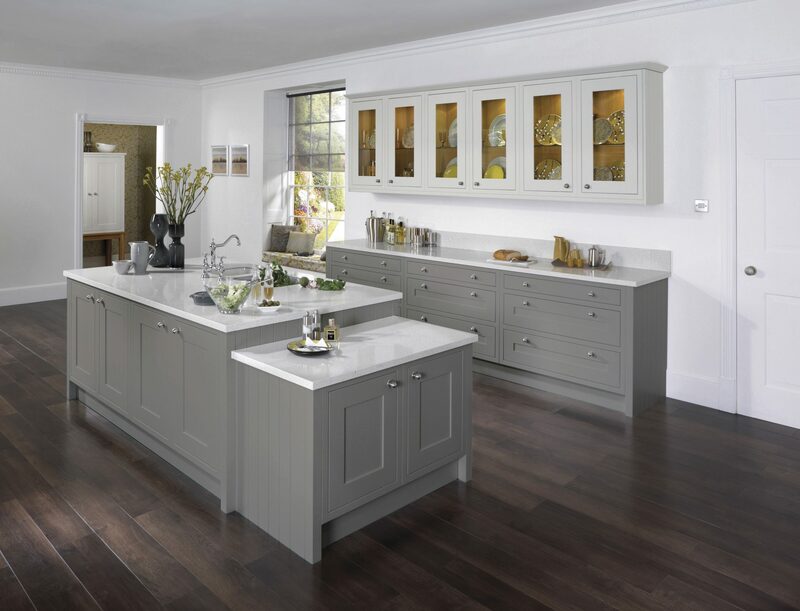 Painted Inframe French Grey Kitchen. Painted Inframe Seal Grey & Gravel Kitchen. 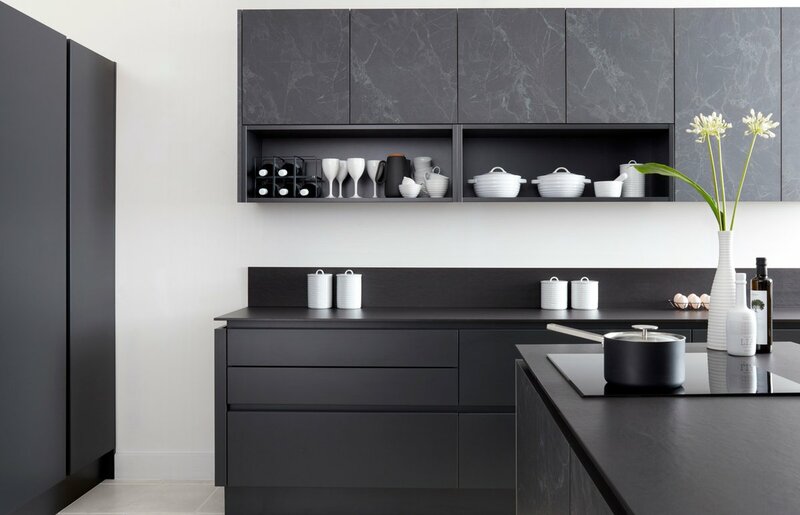 Matt Anthracite B And Marbled Black Kitchen. 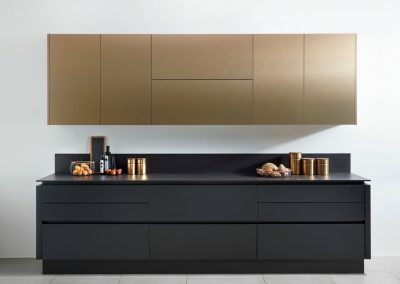 B Brushed Bronze & Matt Anthracite Kitchen. 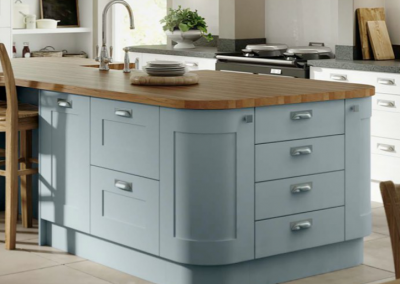 Fiord Kitchen In Vinyl Wrap or Painted. 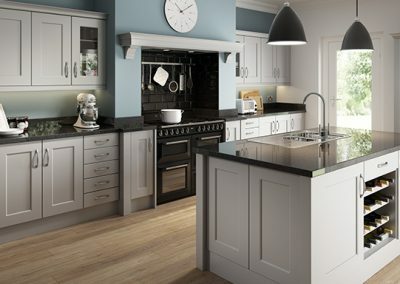 Inverted Handle Gloss Grey Kitchen, Wooden Breakfast Bar And light Stone grey Panelling. 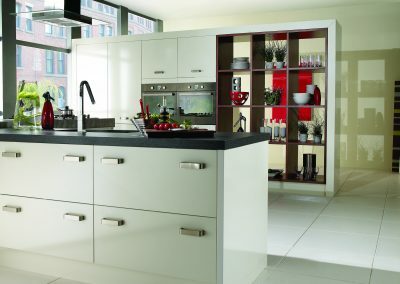 Ice White Gloss Kitchen With Optional Bespoke Storage. 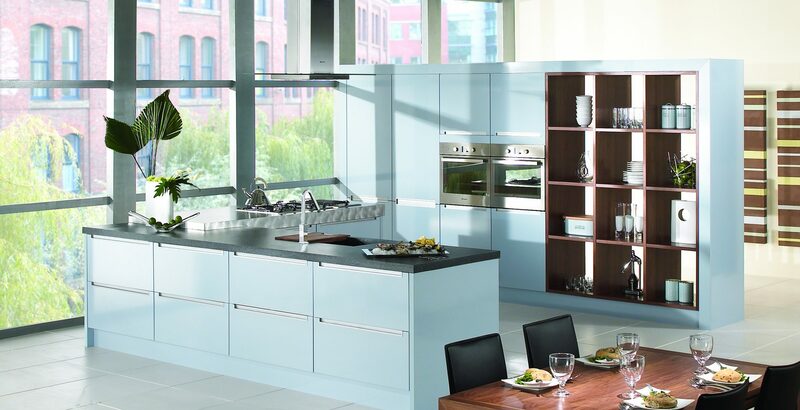 Ice Blue Gloss Kitchen With Optional Bespoke Carpentry. 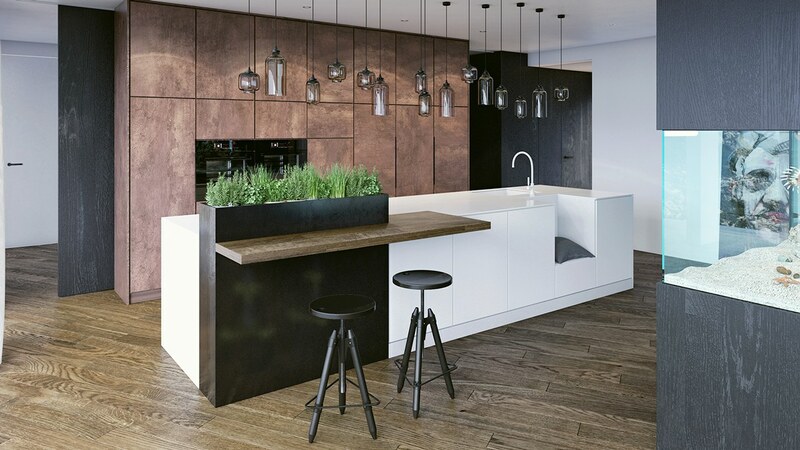 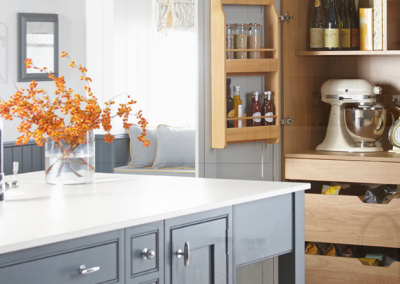 Dakar Shaker Kitchen, Light Worktop And Light Timber Feature Island Stools. 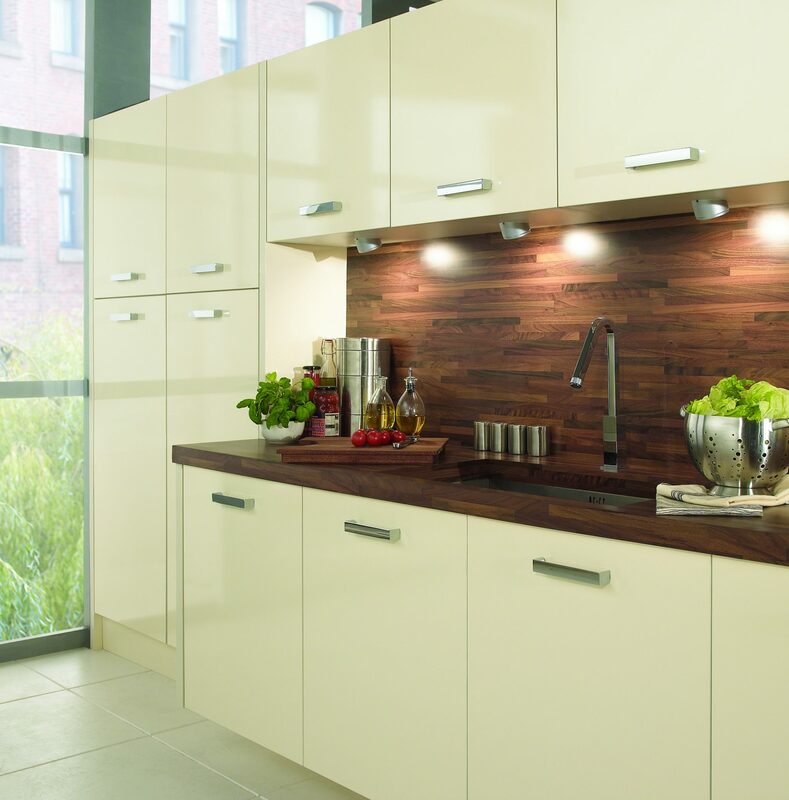 GKD Timber & Ice White Fusion Kitchen. 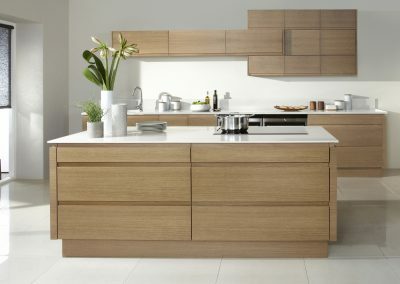 GKD Open White Kitchen & Feature Walnut Storage. 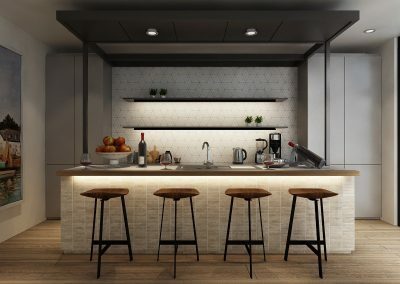 Tile Backed Island Bar Seating. 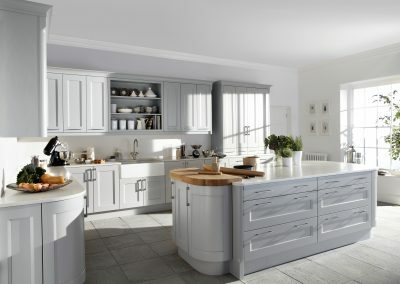 GKD Concept Design Cad Project. 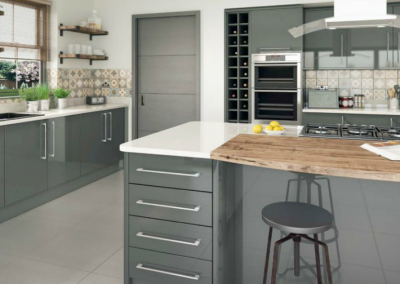 GKD Kitchen In White, Matt Grey With Veneer Grey Storage & Completed With A Beech Butchers Block Table Design. Warm Natural Oak Kitchen With Contemporary & Traditional Finishes. 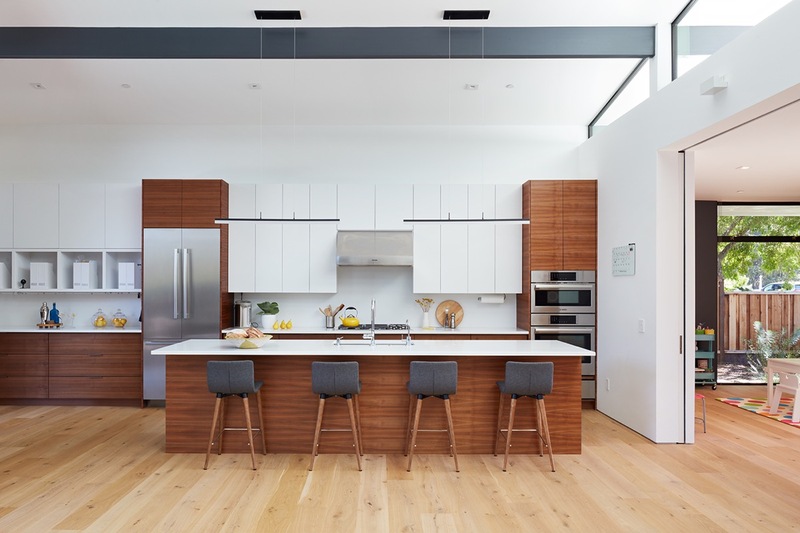 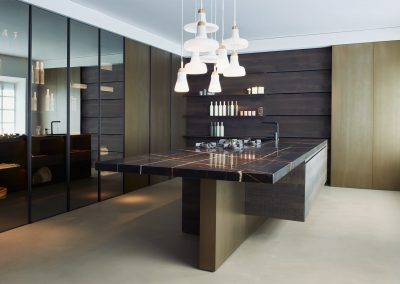 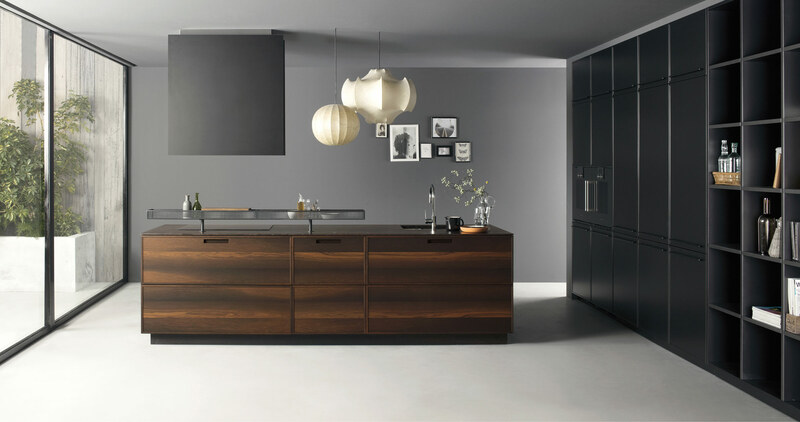 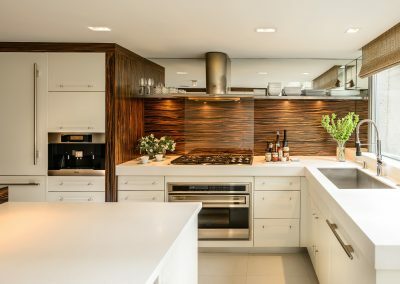 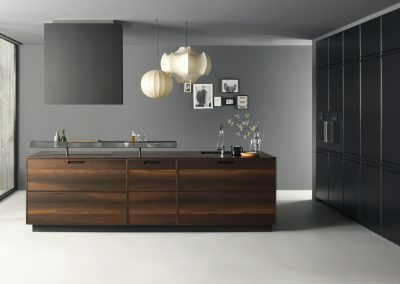 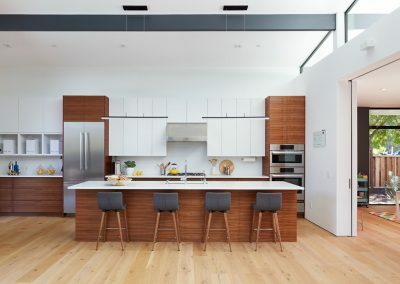 Two Grained Walnut Kitchen With Island Floating Storage. 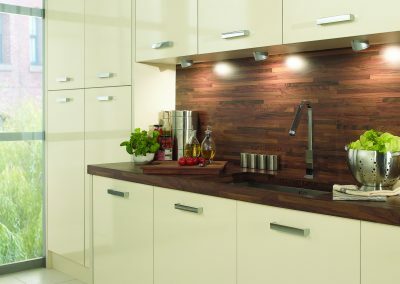 Ice Gloss Cream Kitchen With Walnut Finish & Worktop. 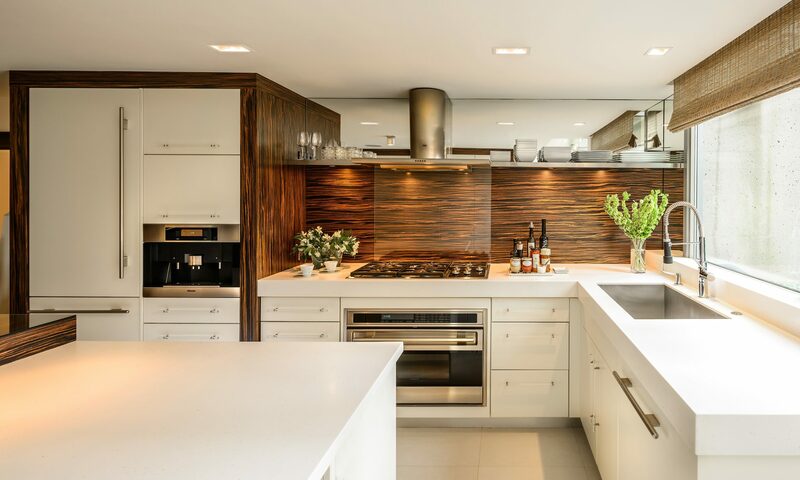 White & Light Walnut Island Feature Kitchen. 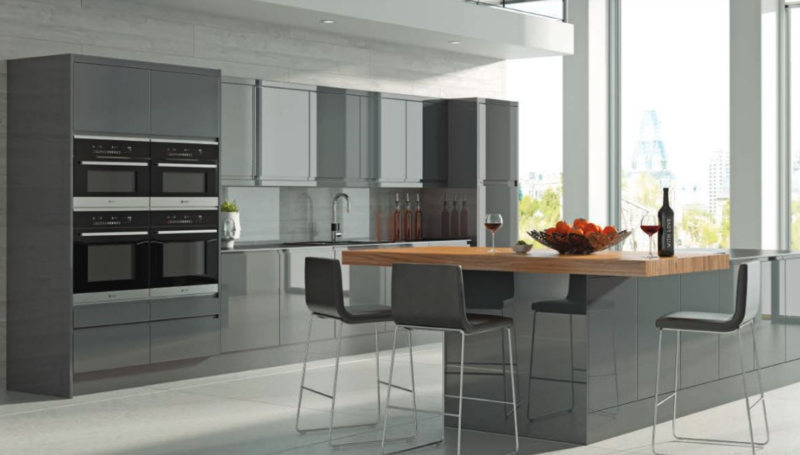 U Kitchen Design In Gloss Light Grey. 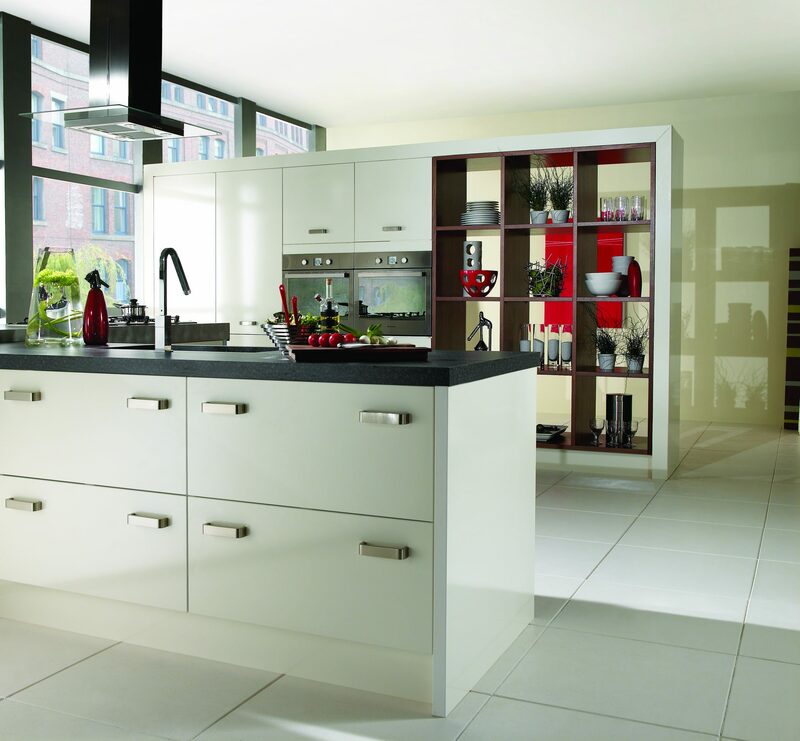 U Shape Kitchen In Gloss Cream, White Or Clients Choice Of Colour. 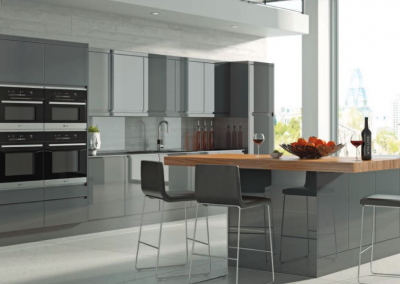 Light Modern Grey Gloss Kitchen With Black Finishes & Appliances. 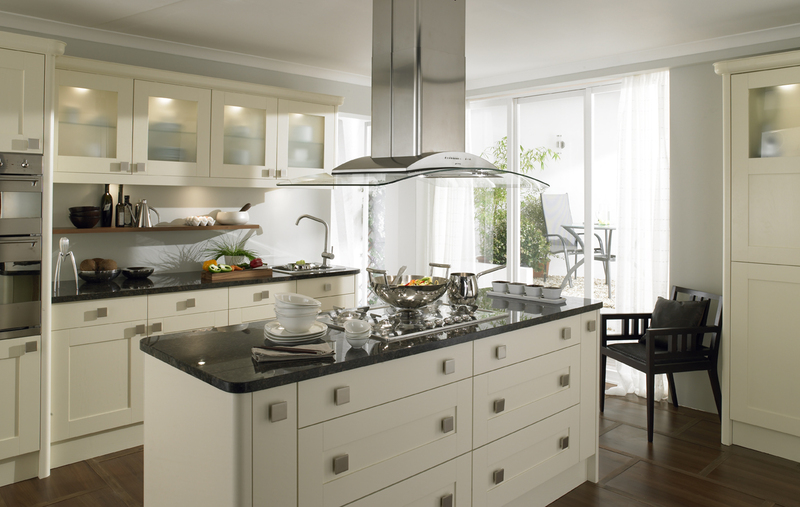 Simple Shaker In Mussel With Feature Island. 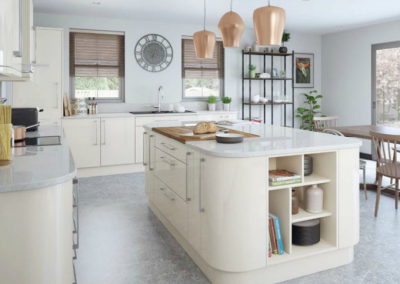 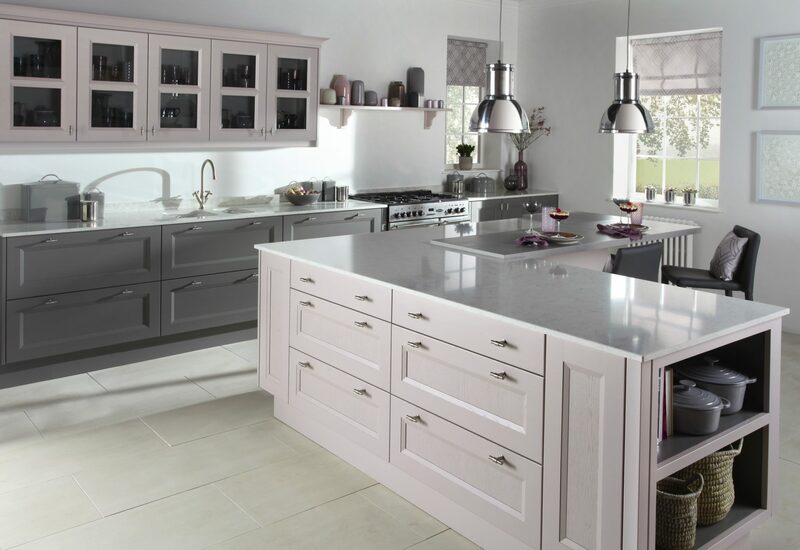 Putty Grey Or Cashmere Shaker Kitchen With Featured Island In White. 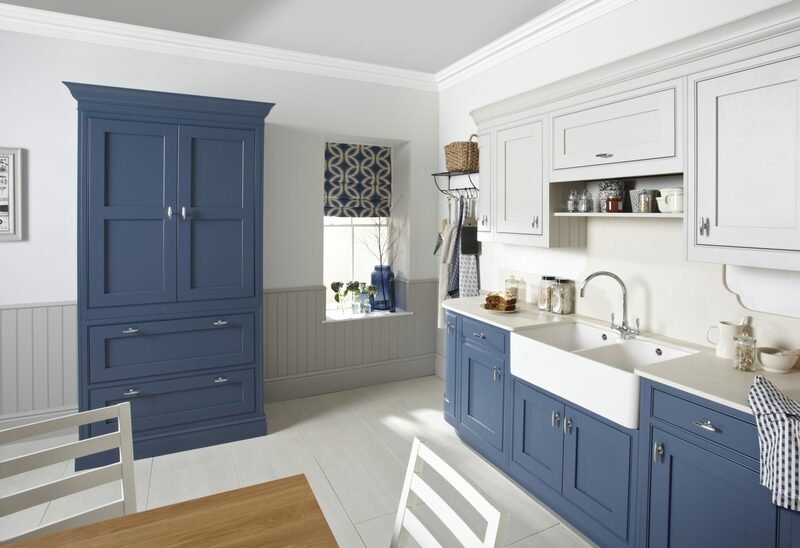 Trim Centre Panelled Kitchen In B Painted Putty & Cha Island.